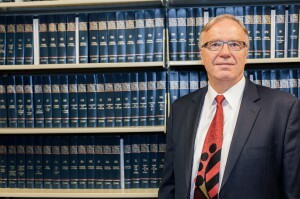 Prior to joining the firm in 1978, Mr. Barcott served as law clerk to Chief United States District Judge, James A. von der Heydt of the United States District Court in Anchorage. Mr. Barcott then practiced in the firm’s Anchorage, Alaska, office for five years prior to opening its Seattle office in 1983, where he serves as managing shareholder. Mr. Barcott practices in Washington, Alaska and California. He represents numerous underwriters and insurers, as well as many vessel owners and fishing companies. Mr. Barcott has been appointed as a Special Assistant Attorney General by the State of Washington to represent the University of Washington in maritime matters. He also serves as General Counsel to Diver’s Institute of Technology in Seattle and has been appointed Special Deputy for the King County Ferry District. Mr. Barcott regularly appears as a speaker at programs sponsored by various bar associations and professional groups. He has spoken concerning admiralty and maritime law at programs sponsored by the United States Department of Labor, the Admiralty Law Association of Alaska, the Bar Association of San Francisco, the Washington State Trial Lawyers Association, the Alaska Department of Labor, Associated General Contractors of Alaska, and the Alaska Bar Association. Mr. Barcott also regularly serves as a mediator and arbitrator in maritime and FELA cases. Mr. Barcott is a member of the State Bar of California, the Washington State Bar Association, the Alaska Bar Association, and the Maritime Law Association. He also authored Offshore Floating Oil Rig Workers, Seamen or Longshoremen: Twilight at High Noon, 16 U.S.F. Law Review 449 (1982) and Statutory and Regulatory Violations in Maritime Personal Injury Litigation: What Counts, What Doesn't, and What Does it Mean, 21 University of San Francisco Maritime Law Journal 41 (2009). Mr. Barcott has been selected to "The Best Lawyers in America” for 2001-2019. Mr. Barcott has been selected as a Washington Super Lawyer for the years 2008 - 2019 and as the Admiralty & Maritime Lawyer of the Year in Seattle in 2012 and 2019.